Wide-temp, high-performance rugged computer with GPU expansion capacity and powerful Core i5/i7 processors. Taking full advantage of its size, the Nuvo-6108GC is a potent offering that does something truly unique by supporting a full-sized, high-end GPU, the NVIDIA GTX 1080. 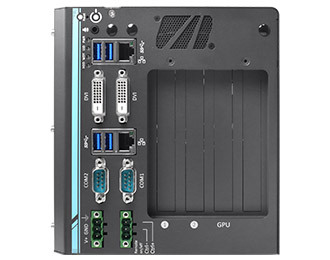 An industrial computer with the power of a high-end graphics card makes an ideal combination for artificial intelligence, autonomous driving, and virtual reality, all applications that benefit immensely from enhanced graphics performance. The Nuvo-6108GC can be configured with Intel’s 6th generation core i5/i7 processors, with support for up to 32GB of RAM and offering the excellent performance-per-watt ratio that the Skylake generation of CPUs is known for. 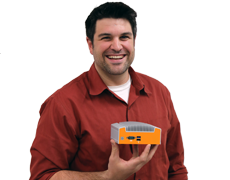 Although the Nuvo-6108GC has a footprint somewhat larger than many of the other rugged systems we carry, it uses that size to provide impressive capabilities. The system offers an operating temperature range of -25°C ~ 60°C and has considerable vibration resistance even with the GPU installed via Neousys’ patented dampening brackets. 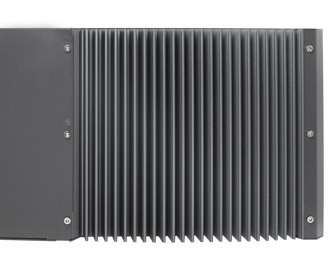 The patented thermal ventilation design of the Nuvo-6108GC is what makes it capable of handling high-end graphics cards and enables the system to operate in environments up to 60°C with 100% GPU load. Expansion is the Nuvo-6108GC’s strong suit with its x16 PCIe and two additional x4 PCIe slots, allowing you to customize the system as you see fit. 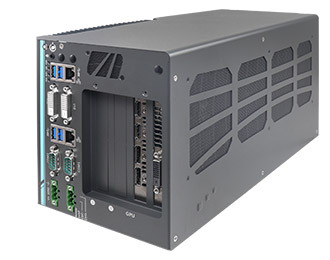 Taking advantage of its size, the Nuvo-6108GC not only has PCIe expansion but room for four 2.5” SATA drives capable of being configured in RAID 0/1 for high speed, high capacity, redundant storage.  To help supplement the system with peripherals that you may need, the Nuvo-6108GC comes equipped with 4 USB 3.0 ports, 2 RS-232/422/485 COM ports, and 2 Gb LAN ports. Configuring the system with the GTX 1080 adds an additional 3 DisplayPort connectors, 1 HDMI ports, and a DVI-D for multi-display connectivity.